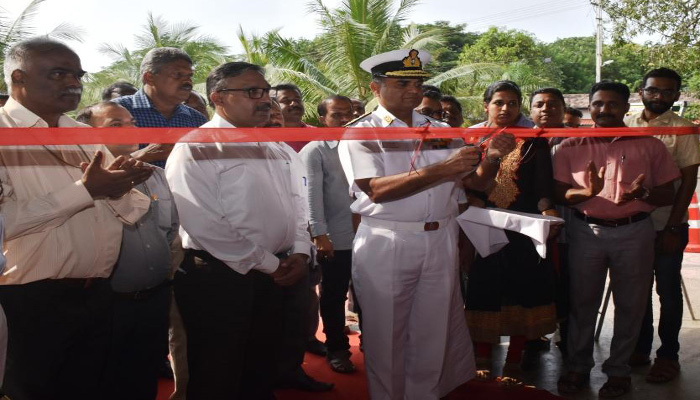 A Technical Exposition of Naval Armament to commemorate the Diamond Jubilee of Naval Armament Depot (Aluva) (NAD (A)), with emphasis on ’Make in India’, was inaugurated by Rear Admiral RJ Nadkarni, VSM Chief Of Staff, Southern Naval Command, Kochi on 22 October 2018 in the presence of Shri P Upadhyay, Chief General Manager NAD (A), Shri K Raja, General Manager, Commodore Simon Mathai, NM, Commanding Officer, INS Dronacharya and other civilian dignitaries. In the exposition, Naval Armaments from Indian Naval Ships and private industries have been displayed for better appreciation and awareness about Indian Navy by the community. 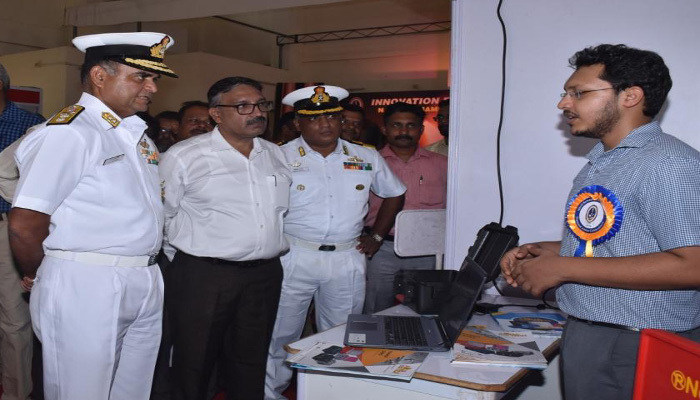 In addition to NAD (A), INS Dronacharya, the Gunnery training establishment at Kochi is also participating in the exposition. 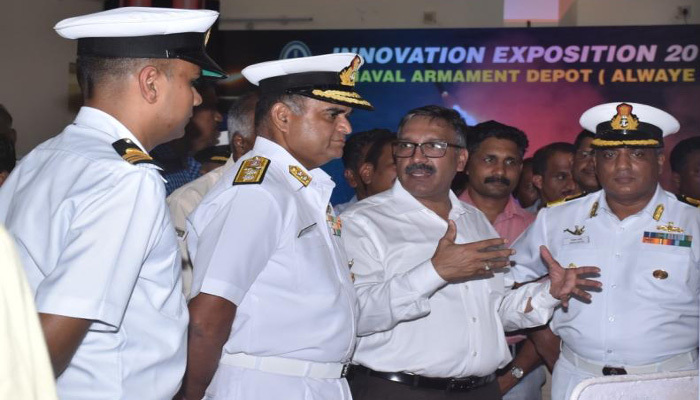 High Energy Batteries (Tiruchirappally) and Carris Pipes and Tubes, Perumbavoor (who provide technical support to the Indian Navy) have also set up stalls.The indigenisation effort put in by Indian Navy in the field of naval armaments and ammunition is the highlight of the exposition. NAD (A) was inaugurated on 19 September 1958 by the first Indian Chief of the Naval Staff, Vice Admiral RD Katari. From its very humble beginnings as a storage Depot, NAD (A) has grown from strength to strength and evolved into a full-fledged Armament Depot with activities spanning from storage, repair, maintenance of armaments and ammunition, to manufacturing of signal pistol, Light Machine Guns and Medium Machine Guns Stabilised Stands for use onboard ships, and other armament spares. The Depot is proud to be the number one Depot in handling imported explosive cargo for all three Services, Ordinance Factories Board and other Defence PSUs and PSUs.